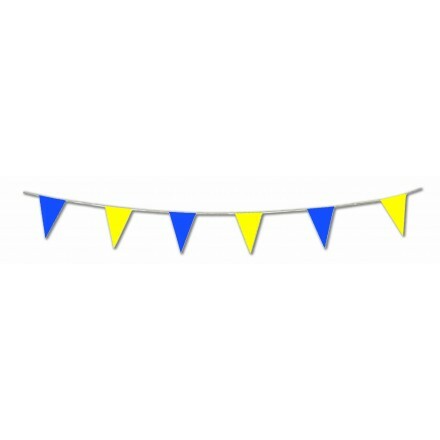 Blue and Yellow plastic triangular pennant bunting 17ft/5m long triangles 8x12in/20x30cm or 33ft/10m long 20 triangles 8x12in/20x30cm. 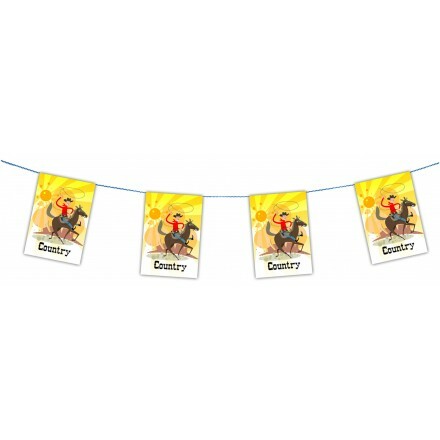 We are pleased to have created unique cowboy bunting with our marketing studio. 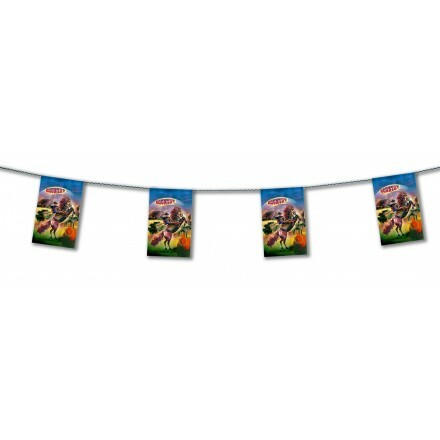 If you have a rodeo themed party to plan, buy online on Deco Party UK to hang through your restaurant, hotel, pub or at home. 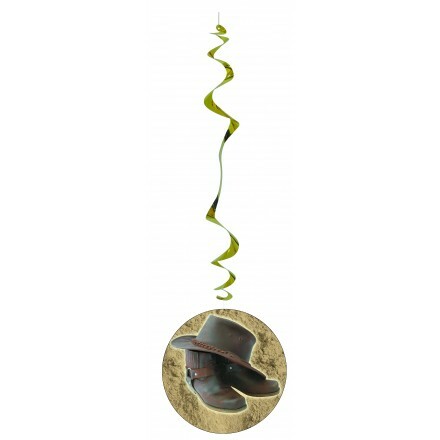 You also can find our saloon doors flag banner, another one with a cowboy on a horse with his lasso. 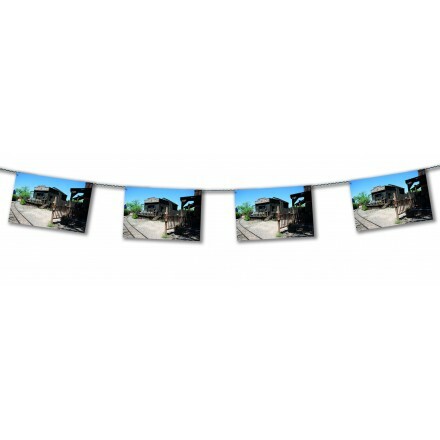 Want to buy a photo decoration with landscape of Far West, reserve our Far West Freight Depot flame-retardant paper bunting, our Far West village flame-resistant paper bunting as a movie or our Monument Valley flameproof paper flag banner. We try to supply and make for all styles and for every occasion! 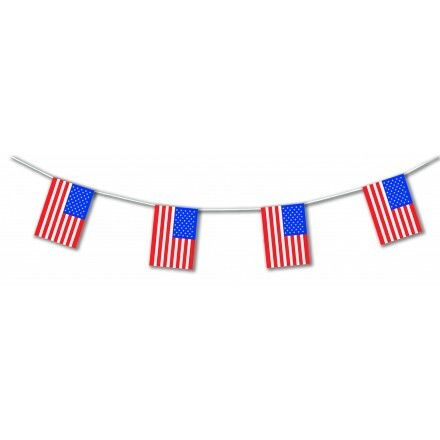 Deco Party UK makes high quality plastic American flag banner for both indoor and outdoor use. Available in two different lengths, you can buy either in 17ft / 5 Metres long or 33ft / 10 Metres long. Sewn onto a solid white tape it resist against wind and UV for several weeks. Each rectangular American flags measure 20x30cm. Perfect for a Patriotic Party. 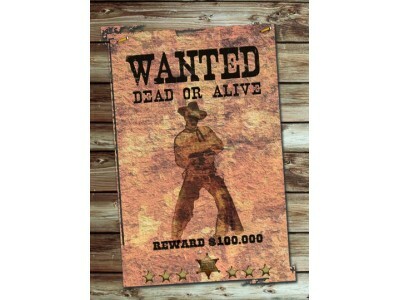 So popular in the UK and in Ireland, buy online our cheap cardboard cutout “Wanted” dead or alive. Printed on face it is very easy to hang or to stick from the ceiling, the wall or the window. Perfect for fast food restaurant or Grill restaurants. We produce original honeycomb flame-retardant tissue paper garland for cowboy party or rodeo party. 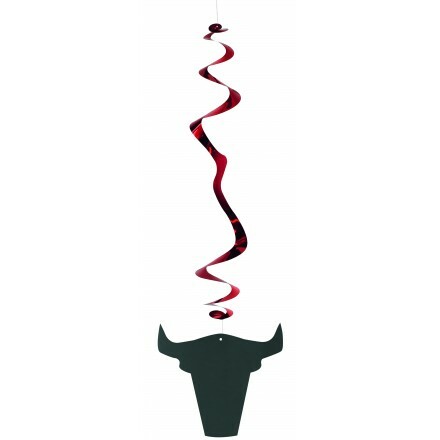 It is bull head garland in red, or black or yellow colour. 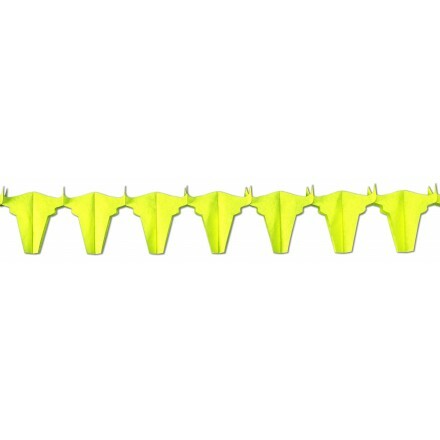 It is a unique product you won’t find to another place and it is one of our bestseller! 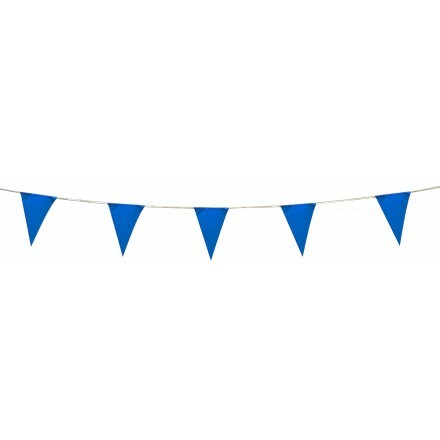 Buy online pennant banner triangular shape. 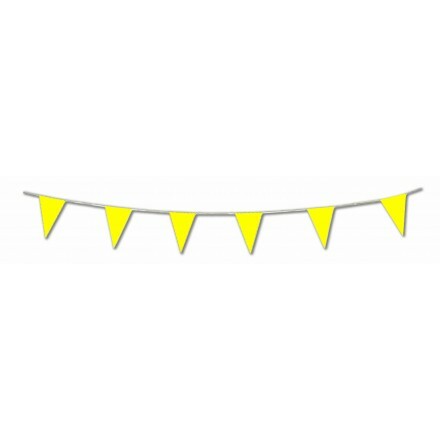 Those banners are very high quality at very low pricing, find our yellow bunting, our blue bunting, alternate blue and yellow bunting or red white and blue bunting. 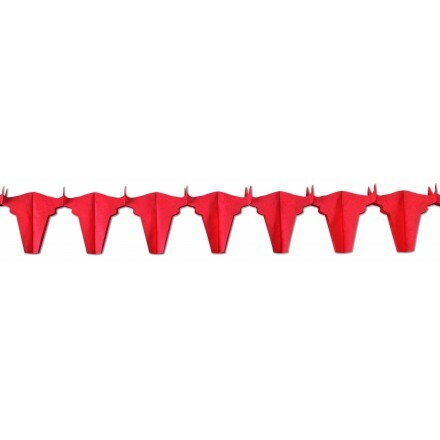 Buy online our very popular hanging swirls, 6 per pack. About 80cm long this vertical decoration is very nice. One pack is with bulls and second with cowboy hat and boots. Supplied in Flameproof quality it is perfect to decorate restaurants, stores, fast food, hotels and much more. Buy online our American hand flags, pack of 100 pieces. 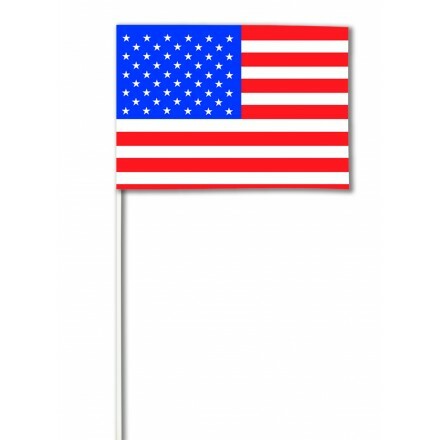 Very cheap, these hand held flags are in paper 14x21cm rectangular shape on a plastic stick 37cm long. Printed both sides very popular Western decoration. Do you organize a lunch with your guests while your Wild West Party? 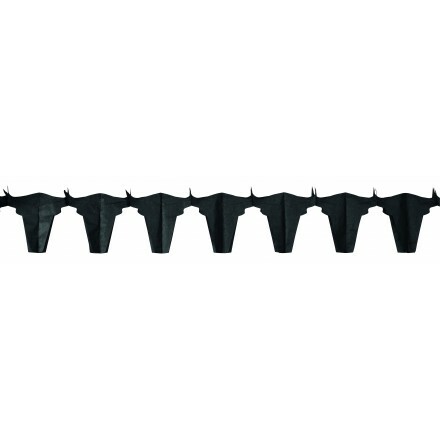 you can use our best quality cocktail stick flags on your sandwiches, burgers, Canapés. 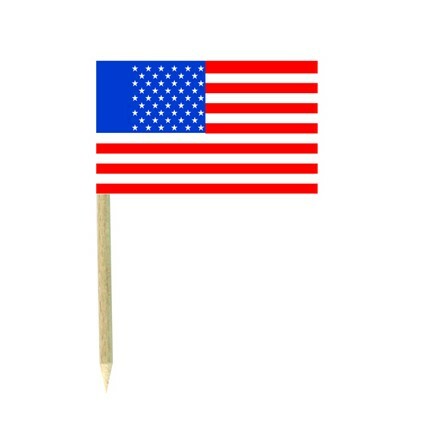 Those American mini flags measure 3x5cm on a food wood pick 7.5cm long. 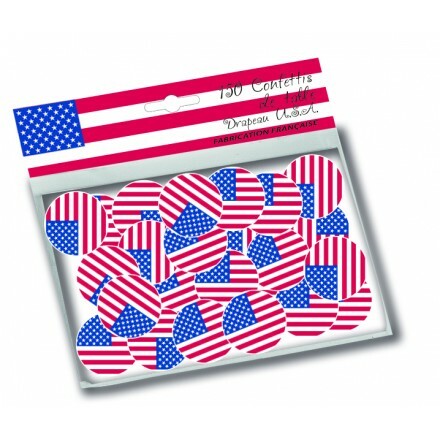 Sprinkle our American flag paper confetti on the table to give a big surprise to your guests! Each confetti is circle shape, size is 25mm diameter. Very original western table decoration. 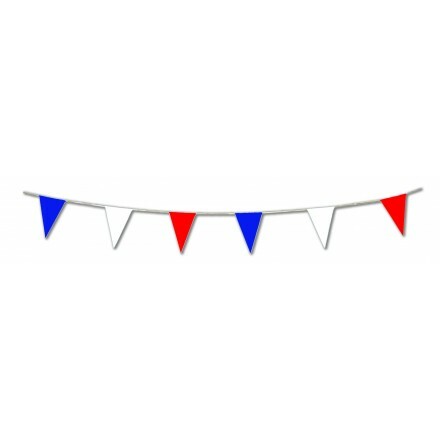 Deco Party UK has been French party decoration manufacturer since 1992. 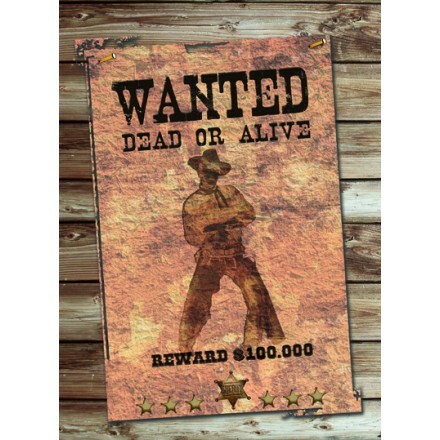 If you want to buy in bulk or large quantities our wild west and western decorations feel free to contact us. We can study special prices and we can make your own designs, sizes, lengths and shapes. Items can be packed with header card for wholesalers or retailers or without only to make your own decoration kits.